This portrait marks my furthest foray into digital rendering and using digital brushes. 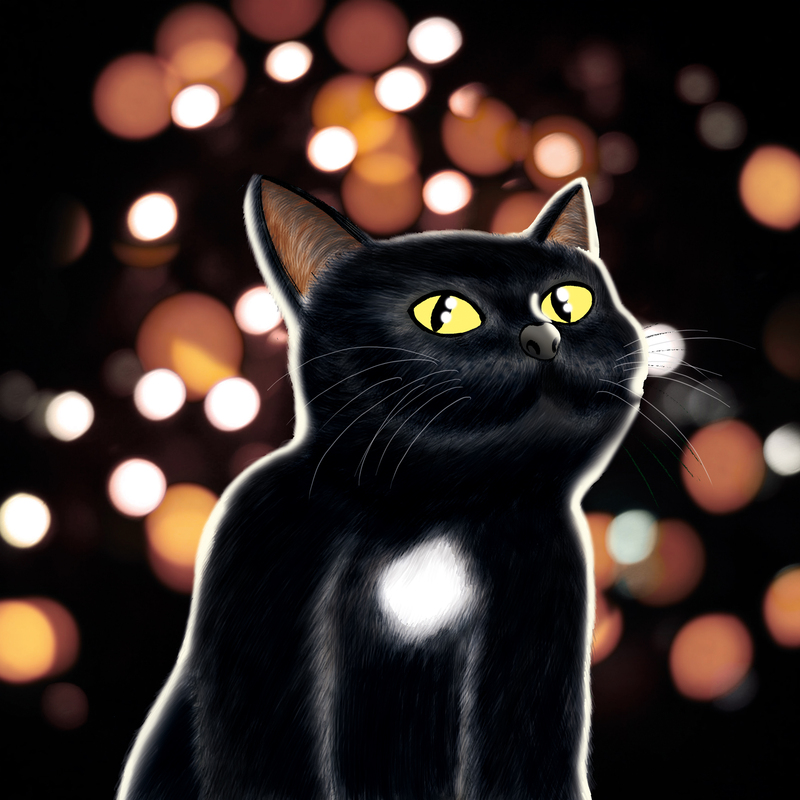 This entry was tagged Adobe Photoshop, black cat, bokeh, cat, digital colouring, pet, portrait. Bookmark the permalink. ← Portrait commission: A couple and their cat…Part 1!